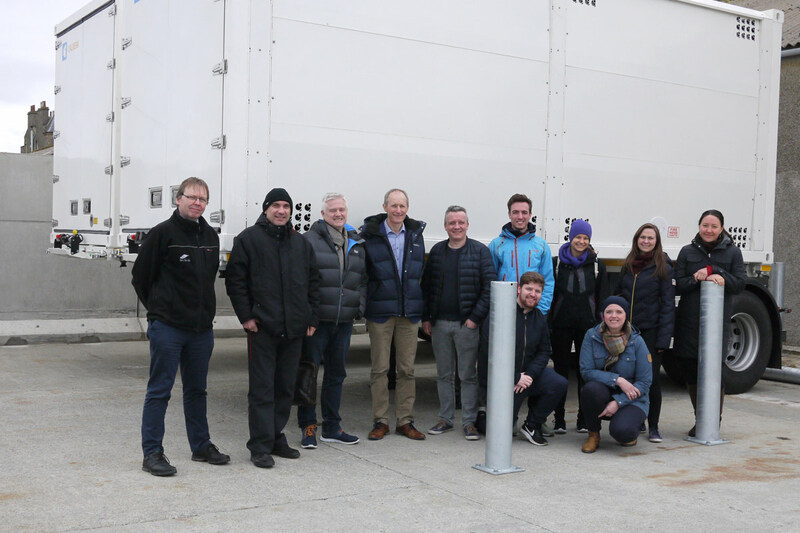 Surf 'n' Turf is helping to strengthen links between Scotland and Norway, thanks to visits between hydrogen project staff across the North Sea. March 2017 saw eleven Norwegians in Orkney on a two-day research trip to take a look at progress in a range of marine and dry land technologies. It was organised by GCE Subsea. Both Norway and Scotland are actively working towards ships powered using hydrogen fuel, so the foundations already established by Surf ’n’ Turf were of great interest to the Norwegian delegates. They were keen to have a photo taken beside our new (empty) hydrogen trailers. In 2016, Surf ’n’ Turf attended a hydrogen conference in Florø, western Norway, at the invitation of Maritim Sogn og Fjordane.